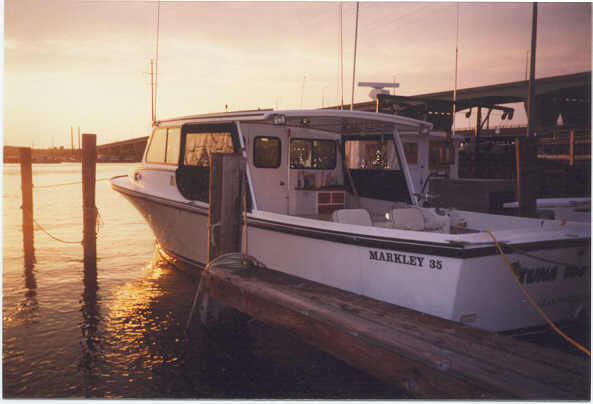 35 ft Markley, Custom built in 1996. Rebuilt in 2010. Diesel powered fiberglass boat with Lowrance and Furuno electronics. Licensed for up to 6 passengers. $600.00.00 for a full day. $500.00 for a half day. $100.00 per hour for cruise trips. Credit Cards accepted with a 3% fee on all charters. We supply all tackle though you are welcome to bring your own. We will clean your catch at no charge. A $150.00 deposit is required to hold your day. It will be refunded if we have to cancel the trip due to weather. Bring proper attire, sunscreen, hat etc. Please do not wear dark colored shoes. White sneakers or deck shoes are appropriate as is bare feet. 2015 Everglades. One to three people. State of the art electronics from Garmin. 300 hp Yamaha four stroke for a FAST, safe and enjoyable ride! Power Pole and GPS Guided Trolling Motor for those shallow stalking trips. Radar. All tackle supplied. Custom Rods by Shore Tackle. $150.00 deposit required to hold your day. Please make all checks payable to Mark Galasso. Generally we only do one trip a day so our hours are flexible. Please let us know well in advance of any special needs. Our primary goal is to be sure you have a SAFE and ENJOYABLE day. We thrive on repeat business and hope to see our people over and over again!